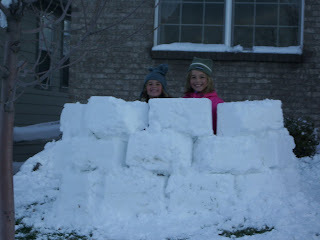 We got a bit of snow on Saturday night and Sunday morning...five inches or so. 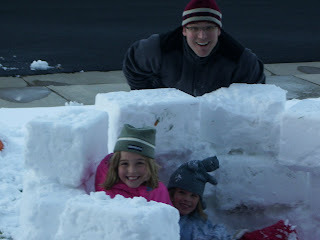 The girls and I set out to build and igloo...but had to stop just short at "snow fort." 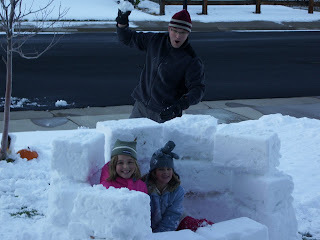 Too bad they didn't get a roof...they could have used it!